For third time in a row the most powerful person in the world according to FORBES is not President Barack Obama. This time around the person is the Russian Bear, the most powerful Vladimir Putin, President of Russia. Also in the Forbes list of the Most Powerful People in the World, the two Africans and Black that made the list were Aliko Dangote of Nigeria at 64 in the list and Mo Ibrahim of Sudan at 71. These two Africans are billionaires and Dangote is the richest Black person in the world. Aliko Dangote, CEO, Dangote Group. The richest Nigerian, African and Black person in the world. "For nine years FORBES has ranked the 100 most powerful women in the world. These are the women who adhere to the traditional classifications of power (political and economic might) and those who have risen to the top of the social and cultural landscape. It is our annual snapshot of women who impact the world. The media mogul's earnings fell by a staggering $125 million from last year. However, even with the drop, she remains the highest earner on the list, just inching out director Michael Bay. It's been a challenging year for Winfrey, who signed off from her 25-year syndicated show and immediately turned her attention to struggling cable network OWN. The bulk of the earnings dive comes from lost income on The Oprah Winfrey Show, but her diversified portfolio includes O: The Oprah Magazine, spin-off shows like The Dr. Oz Show and a radio deal with Sirius. She does not earn a salary at OWN, which has faced ratings disappointments and financial issues since it premiered in Jan. 2011. As chairman and CEO of the joint venture with Discovery Communications, she hopes a recent restructuring, new programming and a distribution deal with Comcast will turn the network around. The ageless super-producer's latest hit isn't a song, but rather a line of headphones. In August handset maker HTC paid $300 million for a 51% stake in Beats by Dr. Dre, the headphone company he co-founded with Interscope chief Jimmy Iovine in 2006. Each owned about a third of the company, pocketing about $100 million apiece, before taxes, from last summer's deal. Perry continues to be a busy, well-paid director/producer/writer/actor. His low-budget films, like the recent Good Deeds have built-in audiences and don't need to earn a ton of money to become profitable. Perry's most successful film was 2009's Madea Goes to Jail, which earned $90 million. He also has a successful TV empire that includes House of Payne, Meet the Browns and For Better or Worse. Tiger Woods broke a 30-month winless streak on the PGA Tour when he won the Arnold Palmer Invitational in March. His income is down, as sponsors like Tag Heuer and Gillette failed to renew their endorsement deals with Woods. His golf course-design business is also on the ropes. But Woods remains one of the world's highest-paid athletes, thanks to his Nike deal. He has won more than $100 million in prize money worldwide during his career. Born in the sprawling black township of Soweto and then trained as a lawyer, he became the first black partner at Bowman Gilfillan law firm in Johannesburg. Went on to found a small contracting business doing mine scut work, then bought low-producing gold shaft mines in 1994 which he turned profitable using lean management style. Today, his $5 billion (market cap) African Rainbow Minerals (ARM) has interests in platinum, nickel, chrome, iron, manganese, coal, copper and gold. Motsepe owns over 41% of the company. Also owns a 5% stake in Sanlam, a financial services firm outside Cape Town. 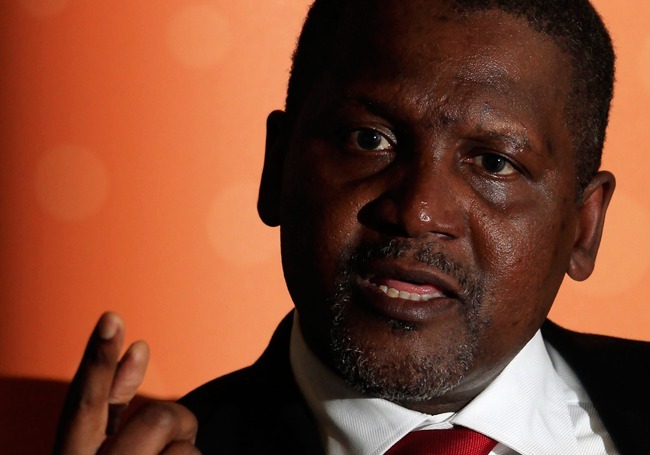 Nigerian billionaire Aliko Dangote is no longer the richest black person in the world. He’s been ousted by Ethiopian-born Saudi billionaire Sheikh Mohammed Al-Amoudi who is worth an estimated $12.5 billion. That’s $1.3 billion richer than Dangote. Born to a Saudi father and Ethiopian mother, Mohammed Al-Amoudi immigrated to Saudi Arabia as a child where he made a fortune handling lucrative construction contracts for the Saudi Royal family. He subsequently invested in Sweden, Morocco and Ethiopia. His most prominent assets include oil companies Svenska Petroleum Exploration, which produces crude oil in Africa, and refinery operator Preem. Al-Amoudi stays committed to the country of his birth: Ethiopia. In February, he announced a $3.4 billion investment in Ethiopia via his newly formed Derba conglomerate. The funds will be invested in agriculture, cement production, steel and transport. He also owns gold mines in the country and the very prestigious 5-star Sheraton Hotel, Addis. Passionate soccer fan. Dangote loses his position as the world’s richest black man, but he remains Africa’s wealthiest individual nevertheless. He shed more than $2.6 billion from his net worth since last year as a consequence of Nigeria’s floundering stock market. His $15 billion (market cap) Dangote Group is Nigeria’s largest industrial conglomerate, with interests in everything from sugar refineries, flour milling, salt processing and cement plants in Nigeria, Zambia, Senegal, Tanzania and South Africa. Passionate philanthropist has given away millions to education, health and social causes. Adenuga started off trading lace and Coca-cola before Nigeria’s former military president, Ibrahim Babangida took him under his wing. Adenuga was subsequently rewarded with lucrative oil blocks which changed his fortunes forever and saw him become the first Nigerian to strike oil in commercial quantities in the early 1990s. Today, his Conoil Producing Company is Nigeria’s largest indigenous oil exploration company. Daily production: 100,000 barrels per day. New ambition: Striving to build Africa’s largest mobile telecommunications network. His mobile phone operator, Globacom, already has over 15 million subscribers in Nigeria and over 500,000 in Benin Republic. South Africa’s first black billionaire trained as a lawyer at the University of Witwatersrand and went on to become the first black partner at storied Johannesburg law firm, Bowman Gilfillan. He later founded a small contracting business doing scut work, then acquired low-producing gold shaft mines in 1994. He turned the shafts profitable using lean management style. Today he is the Executive chairman of African Rainbow Minerals (ARM), a South African mining company with interests in platinum, nickel, chrome, iron, manganese, coal, copper and gold. He owns 41% of the company. Also owns Mamelodi Sundowns, a South African Football Club. The Queen of all media is having a difficult time working her magic on OWN- the lifestyle-themed cable network she founded in a joint venture with Discovery Communications. The network completed its first full year, marked by ratings disappointments and turnover at the top. Never mind: She’s still the world’s richest black woman. In January, her Oprah Winfrey Leadership Academy in South Africa graduated its first set of students. The Sudanese-born telecoms magnate conceptualized an unorthodox approach to solving Africa’s leadership problems. Through his Mo Ibrahim Foundation, he awards $5 million annually to democratically-elected African leaders who deliver the dividends of good governance to their people and equally transfer power to their successors in democratic fashion. Mo made his fortune by founding Celtel, a mobile a mobile phone company that serves 23 countries in Africa and the Middle East. He sold it off in 2005 for $3.4 billion. He subsequently founded Satya Capital, a $150 million private equity firm which invests solely in African companies. Enjoys smoking pipe. Nigerian commodities titan Aliko Dangote is also Africa's cement king. In late 2010, he listed Dangote Cement on the Nigerian Stock Exchange. The company integrated Dangote's cement investments across Africa, including Benue Cement, formerly listed on the Nigerian Stock Exchange. It's now the largest company on the Nigerian exchange, with a market capitalization of $10 billion. In August, Dangote received approval from the Central Bank of Nigeria to invest $4 billion to build a new cement facility in the Ivory Coast. He's also building a $115 million cement plant in Cameroon, and owns plants in Zambia, Senegal, Tanzania and South Africa, among others. Dangote started trading commodities more than three decades ago after receiving a business loan from his uncle. He then built the Dangote Group - a leading West African conglomerate with interests in cement manufacturing, sugar refineries, flour milling and salt processing. Venerable philanthropist has given away millions to education, health and social causes. 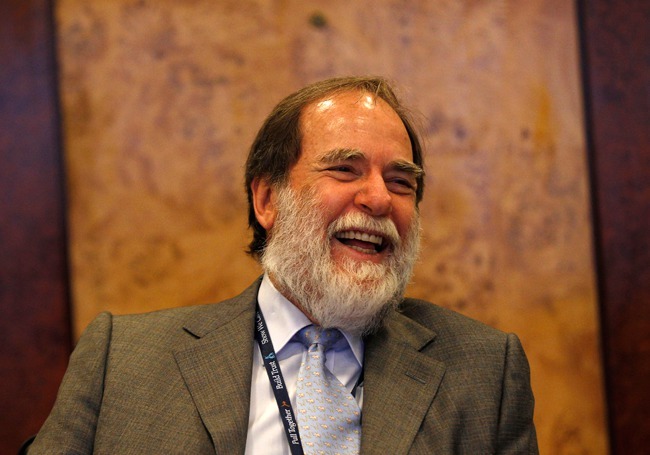 Africa's diamond magnate Nicky Oppenheimer made a momentous decision in early November to sell his family's 40% stake in De Beers, the world's largest diamond producer, to mining behemoth Anglo American for $5.1 billion. (Anglo American already owns 45% of DeBeers.) The all-cash deal will mark the end of the Oppenheimers' control of De Beers, a relationship that began when Nicky's grandfather, Ernest Oppenheimer, took over the firm in 1927. After struggling through the recession as demand for luxury goods sagged, De Beers appears to have righted the ship. Revenues surged 53% to nearly $5.9 billion in 2010 vs. 2009. Such impressive performance has led some analysts to assert that the offer from Anglo American, a firm that was founded by Nicky's grandfather in 1917, undervalues De Beers. However, says Nicky, "Anglo American is the natural home for our stake." Oppenheimer's passions include flying helicopters, cricket, and conservation. He owns the Tswalu Kalahari Reserve, the largest private game reserve in South Africa. Nassef Sawiris runs Orascom Construction Industries, Egypt's most valuable publicly-traded company, which was founded by father Onsi. The construction and fertilizer company's shares fell almost one-third during the protests leading up to Egyptian President Hosni Mubarak's resignation in February. They later rallied to pre-revolution levels, but have slipped again. In addition to a sizable loan, the World Bank's IFC has made a $50 million equity investment in the company. In October, Sawiris hooked up with Brazilian billionaire Eike Batista's EBX Group to develop a nitrogen fertilizer plant in Brazil. Sawiris also owns big stakes in cement giant Lafarge, and Texas Industries. 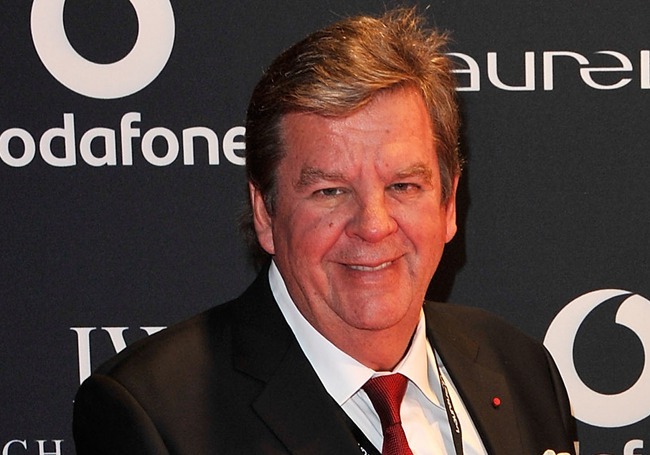 Johann Rupert is South Africa's luxury goods billionaire. He serves as chairman and chief executive officer of Richemont, a Swiss holding company that controls brands such as Vacheron Constantin, Cartier, Alfred Dunhill, Montblanc and Chloé. In 2010 Richemont acquired online fashion portal Net-a-Porter for $343 million. Sales at the Richemont group have grown more than 30% since earlier this year, driven largely by economic resurgence off of recession lows and increased demand for luxury goods in Asia. Rupert also chairs South Africa-based Remgro Ltd and Reinet Investments Manager. The latter was created in 2009 as a home for Remgro's stake in British American Tobacco after the firm went public. While British American Tobacco still accounts for nearly 85% of Reinet's net asset value, the firm is taking steps to diversify by investing British American dividend payments across several industries. An avid golfer, Rupert had only played 21 times this year through mid-October due to his busy work schedule. He recently made headlines due to his opposition to Royal Dutch Shell's planned hydraulic fracturing operations in the Karoo region of South Africa, where he owns extensive conservation land. 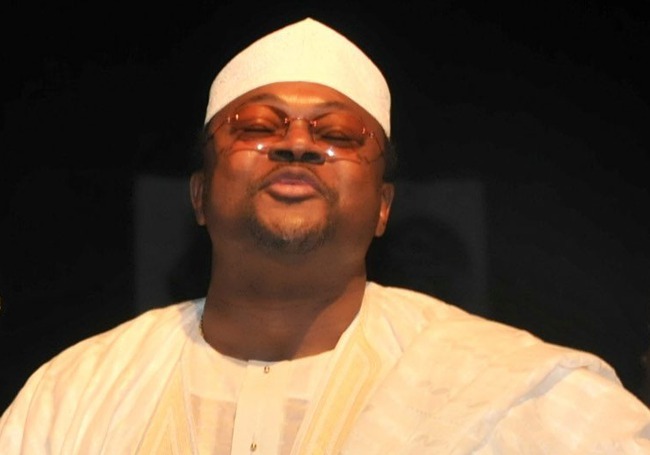 A reclusive tycoon, Mike Adenuga runs Conoil Producing, the first Nigerian company to strike oil in commercial quantities in the early 1990s. Today Conoil Producing is Nigeria's largest oil exploration company, producing an estimated 100,000 barrels per day. The "Guru" also owns Globacom, Nigeria's 2nd largest mobile telecom operator. He made his first million at the age of 26 selling lace and distributing soft drinks, but hit it big through the benefaction of Nigeria's former military president, Ibrahim Babangida. During Babangida's regime, Adenuga cornered lucrative contracts to build military barracks and was awarded an oil prospecting license. Notoriously private and extremely security conscious, Adenuga moves with a retinue of bodyguards and gets chauffeured only in bulletproof cars. In Nigeria he is widely believed to be a proxy for the financial interests of former president Babangida. Miloud Chaabi got his start in 1948 developing housing, then expanded through Ynna Holding into hotels, supermarkets, and renewable energy. Chaabi was a member of Parliament, where he was dubbed the "red capitalist," when he allied himself with the socialist party. He doesn't shy away from lashing out in the press at competitors and corrupt practices. 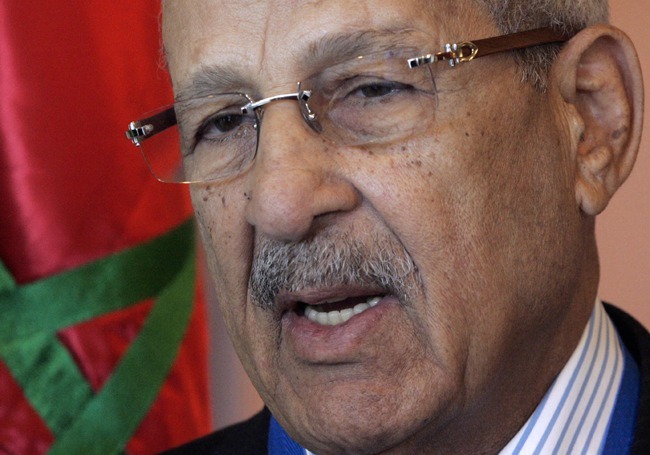 In the wake of the Tunisian uprising, Chaabi said that Morocco had its own Trabelsis (the deposed Tunisian dictator's in-laws who allegedly enriched themselves). He railed at billionaires "born overnight...who treat themselves with land they obtain at symbolic prices." In February, he marched to Parliament with protesters demanding an end to political and business corruption—and distributed his own bottled water at the demonstration. Naguib Sawiris, the eldest son of Egyptian billionaire Onsi Sawiris, built Orascom Telecom, then sold the family's stake to Russian and emerging market telecom giant VimpelCom in April for $6.5 billion in shares and cash, becoming one of VimpelCom's largest shareholders in the process. He's looking to invest in telecom again. He also delved into Egyptian politics, forming the Free Egyptians party in April to promote free markets and a secular platform. His ill-advised tweet in June picturing a bearded Mickey Mouse and a veiled Minnie earned him death threats from Muslim extremists. 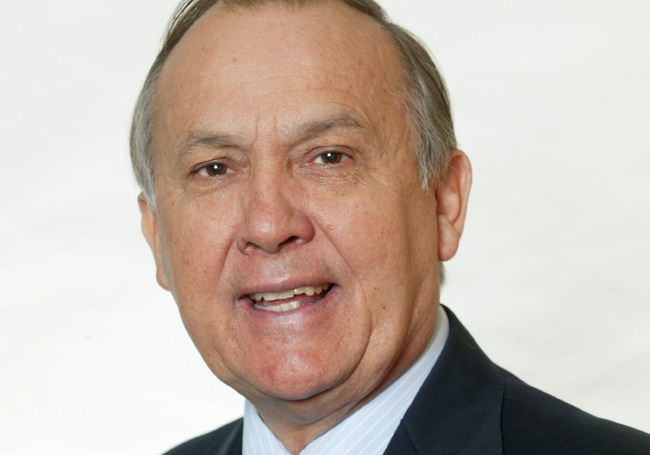 South Africa's Christoffel Wiese, known as Christo, is the chairman and the largest single shareholder of the continent's biggest retailer, low-price supermarket chain Shoprite. He also owns 44% of discount clothes, shoes and textiles chain Pepkor (slogan: "Making the desirable affordable"), where he sits on the board. In March, he bought several hundred million dollars of shares in private equity investor Brait. Other interests: Wiese restored a South African farm estate and remodeled it into a five-star hotel, Lanzerac Manor & Winery. He replanted the vineyards around it, created a modern cellar and has been making wine. Also owns wine producer Lourensford Estate and a private game reserve in the Kalahari. 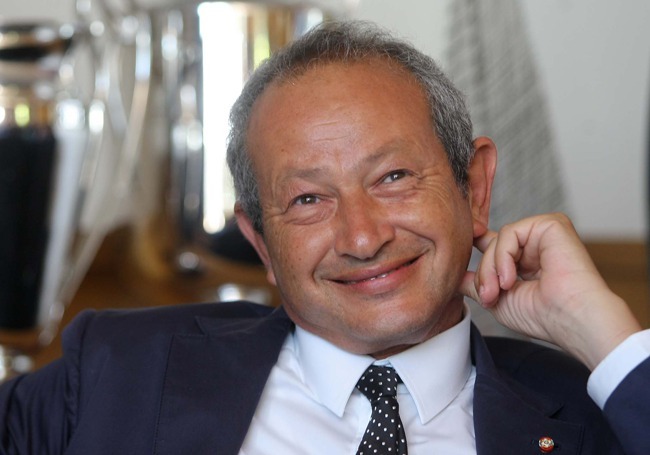 Onsi Sawiris is the patriarch of Egypt's wealthiest family. The Egyptian government nationalized his first construction business in 1971. Undeterred, he rebuilt what became Orascom Construction Industries. His son Nassef took over in 1995. 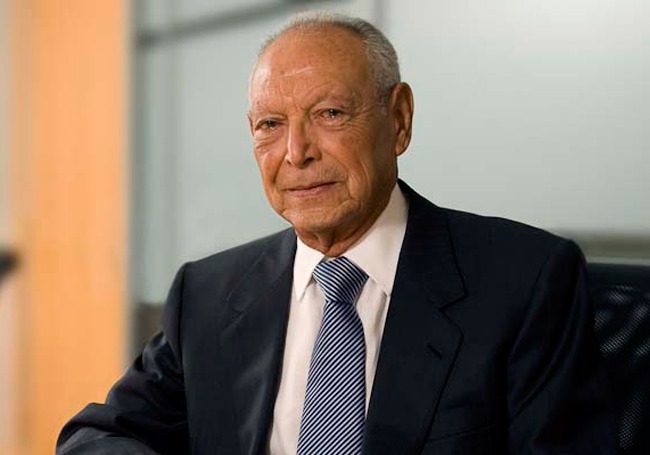 Another son, Naguib, built a separate telecom company, while son Samih went into hotels and real estate. 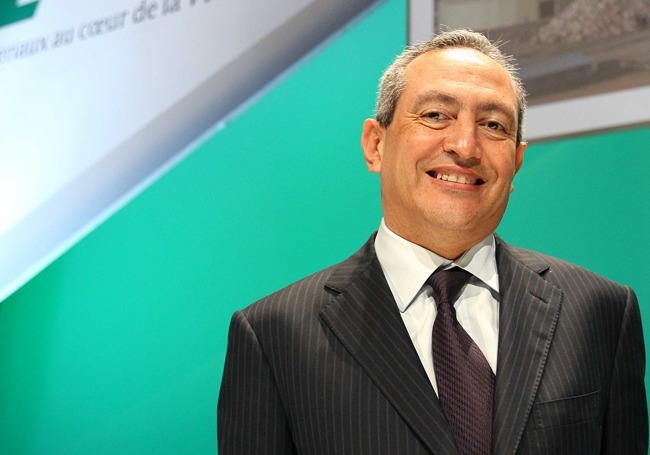 Onsi Sawiris now owns shares in Russian mobile operator VimpelCom, following its acquisition of the family stake in Orascom Telecom in April 2011. All three Sawiris sons appear on the Forbes Richest Africans list; Nassef and Naguib are billionaires. 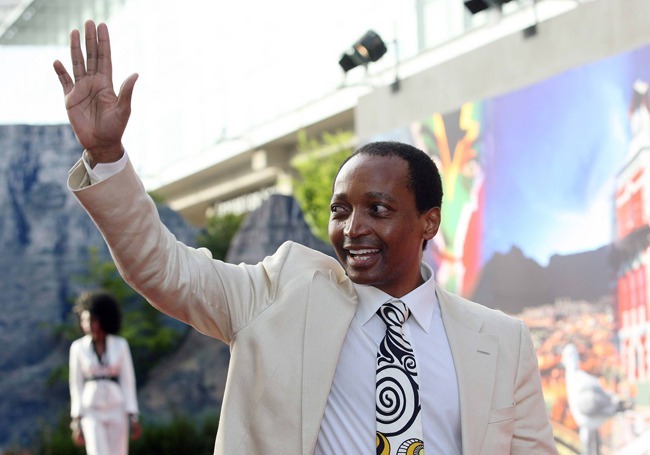 Mining magnate Patrice Motsepe is South Africa's first and only black billionaire. He built a $1.8 billion (sales) publicly traded mining conglomerate, African Rainbow Minerals (ARM), with interests in platinum, nickel, chrome, iron, manganese, coal, copper and gold. The share price of ARM has dropped more than 20% since mid-February, shaving $800 million from Motsepe's net worth on the 2011 Forbes World's Billionaires list. Born in the sprawling black township of Soweto and then trained as a lawyer, he became the first black partner at Bowman Gilfillan law firm in Johannesburg, and then started a contracting business doing mine scut work. He bought low-producing gold mine shafts in 1994 and turned them profitable using lean management style. He benefited from South Africa's Black Economic Empowerment (BEE) laws, which mandate that companies be at least 26% black-owned in order to get a government mining license. Motsepe also holds a stake in Sanlam, a publicly traded financial services company outside Cape Town; he sits on the board. Dr. Ngozi Okonjo-Iweala, a Nigerian, " made headlines when she left the World Bank in July, where she was a managing director and the second-in-command, to become the finance minister of Nigeria. While it shocked some supporters who saw her as a contender for the Bank's top job, it also brought a sense of deja-vu. From 2003 to 2006 she served as finance minister of Nigeria under President Olusegun Obasanjo, whose administration was known for liberalizing the Nigerian economy, building close ties with the U.S. and closer ties with prominent Nigerian businessmen. Okonjo-Iweala's main achievement was to secure a debt write-off of $18 billion from Nigeria's creditors." At the moment she was appointed Minister of Finance and head of several Economic Groups by President Jonathan. She is probably the most powerful woman in Nigeria. Maria Ramos, South African, "In the first half of 2011, Maria Ramos managed a 19% rise in profits at Absa Group, majority-owned by Barclays and South Africa's largest bank, and despite continued lending caution expects the second half to follow suit. This year the economics-trained chief began the integration of Barclays and Absa's African units as part of its "One Bank in Africa" strategy and to push regional growth. Before coming to Absa in 2009, Ramos had a rich public-sector career. She was the Group Chief Executive of Transnet Limited, the state-owned rail, pipeline and ports agency. From 1996 to 2003, Ramos served as South Africa's director general of the National Treasury for its first post-apartheid government. She moves between a high-octane job and high-profile life, married to South African politician Trevor Manuel, who served as finance minister for over a decade." Nonkululeko Nyembezi-Heita, South African: "A tough year for ArcelorMittal South Africa's CEO, which reported drooping returns and pessimistic projections for coming quarters in late July when stock prices hit their lowest low since 2008, slumping to roughly $9/share. Nyembezi-Heita told investors that she's keeping a close eye on the economic situation worldwide and its effects on the mining industry in her country but says much of the trouble can be attributed to a slowdown in construction. Fiftyone-year old Nyembezi-Heita has led the South African arm of the global steel company, based in Luxembourg, since 2008. Arcelor Mittal South Africa is the largest producer of steel on the continent with a production capacity of 7.8 million tons annually." This year's No. 1 in the ranking, German Chancellor Angela Merkel -- recognized as the "undisputed" leader of the EU -- is key to curing what ails the euro zone. As the Arab spring turns into the autocrats’ summer, No. 2-ranked U.S. Secretary of State Hillary Clinton provides encouragement to dissidents, while Facebook's Sheryl Sandberg (No. 5) and Twitter’s Katie Jacobs Stanton (No. 56) empower the rebels storming the barricades with an uninterrupted newsfeed -- or a way to report in 140 characters or less. Michele Bachmann (No. 22) is rocking the 2012 presidential race while Sarah Palin (No. 34) is still playing coy. We have lots of business leaders too: women from Silicon Valley and Wall Street and Main Street; entrepreneurs of import, like HTC’s Cher Wang (No. 20), Zhang Xin (No. 48), billionaire cofounder of real-estate empire SOHO China, and media marquise Arianna Huffington (No.31). The Power 100 Women are not just newsmakers -- they are custodians of the news. Jill Abramson (No. 12) makes her first appearance as new executive editor of the New York Times. BBC News, run by Helen Boaden (No. 51), reaches some 34 million viewers weekly. Probably best known are the televised journalists: ABC's Christiane Amanpour (No. 44) and Diane Sawyer (No. 47), Ann Curry of TODAY (No. 66) and On The Record's Greta Van Susteren (No. 75). Other famous faces make the list this year because they have exploited their celebrity status to build global businesses or champion humanitarian causes. Lady Gaga (No. 11) raised over $200 million to fight HIV/AIDS while Angelina Jolie (No. 29) continues her work as a U.N. ambassador. The United Nations counts two power women in the ranks: Josette Sheeran (No. 30) of the World Food Programme, the world's largest humanitarian agency, and Helen Clark (No. 50) of the UN Development Programme. Other nonprofit leaders include CARE USA's Helene Gayle (No. 36) and Judith Rodin (No. 71) president of the 98-year-old Rockefeller Foundation. Ten percent of the list has bank accounts in the 10 figures, including the self-mades Oprah (No. 14) and J.K. Rowling (No. 61). These billies do more than just eat bonbons: Walmart heiress Alice Walton (No. 85) is opening her preeminent collection of American art to the public with the Crystal Bridge Museum on 11/11/11, while Georgina Rinehart (No. 19), the richest woman in Australia--and said to be on track as the richest person in the world in 2012--is using her wealth to campaign against national environmental reforms and taxes. Christine Lagarde (No. 9), France's former finance minister, for example, is now managing director of the I.M.F., and Ngozi Okonjo-Iweala (No. 87) switched from the World Bank to finance minister of Nigeria. Susan Wojcicki (No. 16) was upped to SVP at Google and Denise Morrison (No. 80) was promoted from COO to CEO for Campbell Soup. She's one of 29 CEOs here. Dilma Rousseff (No. 3) and Yingluck Sinawatra (No. 59) were elected as president of Brazil and prime minister of Thailand, respectively, now in a club of eight heads of state on the list. Many powerful women were missing in the list including President Ellen Johnson Sirleaf of Liberia, Obiageli "Oby" Ezekwesili, a Nigerian national, Vice President for the World Bank's Africa Region and wife of Nelson Mandela, Graca Machel. Forbes yearly billionaires list has ranked Aliko Dangote, the Group President/CEO of Dangote as the richest Nigerian and African with a net fortune quantified at $13.8 billion. He moved from previous ranking list in the world from 436 to 51 in 2011 and that is a meteoric rise. Together with Alhaji Aliko Dangote and other 13 Africans including another Nigerian, Mike Adenuga with a net worth of $2 billion, eight Egyptians and four South Africans made the 2011 ranking list. In the Forbes global list of billionaires, Aliko was ranked number 51 while Mike Adenuga was listed at number 595 out of 1140. Forbes ranking list documented that Alhaji Aliko Dangote, "The Nigerian businessman's fortune surged 557% in the past year, making him the world's biggest gainer in percentage terms and Africa's richest individual for the first time. The catalyst was listing Dangote Cement, which integrated his investments across Africa with his previously public Benue Cement; it now accounts for a quarter of the Nigeria Stock Exchange's total market cap. Already the continent's biggest cement maker, he has plants under construction in Zambia, Tanzania, Congo and Ethiopa and is building cement terminals in Sierra Leone, Ivory Coast and Liberia, among other places. Dangote, who recently bought himself a $45 million Bombardier aircraft for his birthday, has been shuttling back and forth to London for months, in anticipation of a public offering there later this year. Dangote began his career as a commodities trader; built his Dangote Group into conglomerate with interests in sugar, flour milling, salt processing, cement manufacturing, textiles, real estate, and oil and gas." While on Mike Adenuga, Forbes commented on the 57 years capitalist emergence," Nicknamed "the Guru" in his native Nigeria, Adenuga debuts on our billionaires list after making waves with mobile technology. His telecoms carrier Globacom recently launched a 4G network, and he's invested $1 billion on a submarine cable connecting Nigeria to the rest of the world. He made his first million at age 26 selling lace and distributing Coca-Cola, then won a contract to build military barracks in the late 1980s. He owns a stake in the Equitorial Trust Bank and chairs Niger Delta oil exploration firm Conoil. Adenuga is a soccer devotee and sponsors a number of tournaments." Aliko Dangote also made the 2011 list of Afripol most influential Africans.